Simon Vaughan is a freelance agent. Well, not really but considering the strangeness that is "Simon Vaughan" it is perhaps the safest label to give him. Of the several people whose adventures have been chronicled by the author over the years and which have constituted a series, Simon Vaughan is the odd-man-out because he is perhaps one man but more than likely three different men, all with a common background and all with the same name. The first Simon Vaughan, depicted in book #1 in 1967, is 33 years old, a son of a British Army colonel whose wife had left when the boy was still an infant and so growing up for Vaughan meant foster homes, boarding schools, and then military academy. He was commissioned as an officer in the Parachute Regiment but as a lieutenant had a reprimand for pushing his men to the point of collapse. There followed some time later a commendation for bravery in killing two Cypriot rebels though doubt was created as to the circumstances. When later in Yemen he tortured a man to death for information, he was allowed to resign. This Vaughan was diagnosed by psychiatrists as a psychopath "incapable of any ordinary emotion" becoming the perfect blunt instrument to use when needed. In the adventure, he is a specialist at smuggling people out of British prisons for a hefty fee but might also be guilty of eliminating them once free because witnesses are dangerous. His career is ended for him by Paul Chavasse of British Intelligence. The second Simon Vaughan has his adventure told in book #2 int 1972. This Vaughan was a stellar student at the military academy he attended before becoming a 2nd Lt. in the British Army serving in the Korean Conflict. he "earned a good MC on the Hook" (not sure what that is) before getting captured spending a year in a Chinese prison camp. He wrote of his experiences in a book called 'A New Concept of Revolutionary Warfare" which was used as a textbook by the Army. Then came a transfer to Military Intelligence, where you specialized in handling subversives and revolutionary movements with somewhat extreme methods. His career seems to match a bit with the 1st Vaughan - fighting "the Communists in Malaya, six months chasing Mau Mau in Kenya, then Cyprus and the EOKA. The DSO at the end of that little lot ... and then Borneo and the row with the Indonesians.' But then came March 1963 and the area of Kota Baru where terrorists were wrecking havoc and he was told to stomp them out but his techniques got him labeled the Beast of Selengar for shooting of prisoners and torturing captives in custody. From 1966 to 1972, he was muscle for several arms dealers before being pressed into service for British Intelligence by Brigadier Ferguson. Now comes the third Simon Vaughan in an assignment taking place in 1963. This Vaughan is a former Major with the British Army. 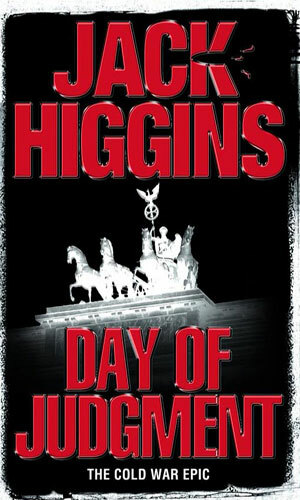 His information comes thanks to a file provided to a participant by the CIA and tells of a "cosmopolitan" man, German grandmother, Irish mother. His father had saved the life of a well-to-do colonel during WWI and when the father later died, the colonel decided to make sure the son was well looked after including the best of schools. After a distinguished time himself in the military, Vaughan got out and started a business in West Germany, ostensibly as a funeral director but mainly working to smuggle people out of and sometimes back into East Germany. So, three version of Simon Vaughan. Same man? I do not believe so. Similarities between them? Lots. One thing is certain when you read the adventures, though. Simon Vaughan, whether one man or three, is interesting. Mr. Higgins (née Harry Patterson) must have liked the character because he used him, well, thrice. I was not there and I have not read any text that purports to have authority on the matter so I am just guessing. Each Simon Vaughan is different and each is somewhat similar. The timing, though, really shouts that they are not the same man. Paul Chavasse goes to considerable trouble to stage a very difficult bank robbery netting tens of thousands of pounds and, more importantly, a trip to prison when he is “captured”. This all to work his way into the Organization to foil a power play that has international repercussions. His main adversary is the resourceful and quite deadly Simon Vaughan. 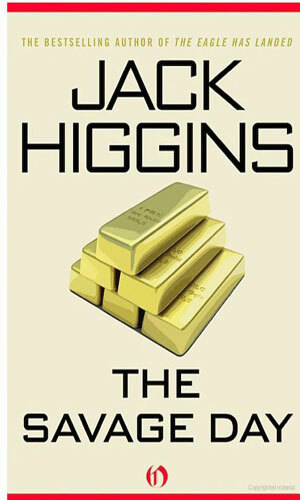 Simon Vaughan is pulled from a cell in Greece with the offer of freedom for finding a cache of gold stolen by the IRA and putting a permanent end to its leader. Father Sean Conlin is a champion of human rights held in a secure prison by the East Germans to make him confess to being a CIA plant. It is up to Simon Vaughan to get him out. 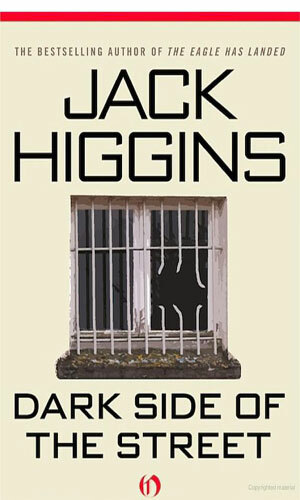 I have tremendous respect for Jack Higgins and the many, many books he put out. I have read a couple dozen of his and enjoyed them all. This is said to explain why I cut him a lot of slack when it comes to Simon Vaughan or, more accurately, each of the Simon Vaughan's. Obviously the author liked the name. I include Simon Vaughan in this compendium because too many other lists have him as the protagonist of a series and so it would look like an omission if I did not. And perhaps my read of the character is way off and he really is the same guy. I will leave that to you readers to decide. One thing that is important to remember is that each of these books, while hosting a character named Simon Vaughan, is a hoot to read - easy and fast and full of pithy dialogue and rugged action. So whether are is 1 or 2 or 3 Simon Vaughan in the audience is up to you.